The reason I am even travelling at all this summer is because I was lucky enough to get the opportunity to take part in a Think Pacific volunteering project through my university. So today I’m going to talk about the charity and the projects they offer as well as what I am expecting of my project and what I know so far. Think Pacific are a charity organisation centred around the Fijian islands, where they provide academic and sports education and support to local villages around Fiji. They offer either a one month or two month program which you will spend amongst a volunteer team in a Fijian village. They work with many universities across the UK, so if you are a student then check with your university as you may be able to take part in it with a University team. Although if you are not a student, you can still take part as they offer standard summer expeditions as well as gap year expeditions. Think Pacific is unique as it is a charity that is directly linked with the Fijian government. Unlike big companies, this is a small and ethical charity where volunteers are given the chance to live within the local communities and experience traditional Fijian culture and a back-to-basic way of living among their Fijian ‘family’. Their projects have been making a huge impact on the lives of small communities and giving the children of these villages such amazing opportunities through the additional help provided by Think Pacific. I was lucky enough that my university not only partner with Think Pacific to offer this opportunity, but they also run a Global Opportunities program themselves where they grant a bursary, discounting the trip for their students – which was a lovely bonus! We were offered a selection of dates over summer, starting from June going right through until August. I picked the project that spans the 6th July to the 3rd August. The application process was an online form where you had to supply all your personal details, university details (in my case) and then write a few short paragraphs answering questions about why you want to take part and what stands out to you about the project etc… The next stage was a phone interview, which was more of a chat really. It was so relaxed where they just asked questions about why you chose the project and found out about your interests and any relevant experience. You were also given a little bit more detail about what to expect as well as a reminder of how challenging and basic the lifestyle would be in Fiji (they don’t sugarcoat it which is great and lets you fully prepare mentally for the challenge). At the end of the call I was offered and place and sent over an acceptance email with all the details of my payments and an acceptance form to fill in which went directly to them about any allergies, dietary requirements, health concerns and what T-shirt size I required. We have planned to arrive in Fiji a couple days before the project start date, to get over any tiredness and jet lag we may still be experiencing, although the first two nights of project are briefing days. During these 3 days we will be spending time with our team and leaders, getting to know more about the village and our families as well as sorting out our Visa’s and getting our traditional Fijian dress! After this we will be heading to our village for the next 3 weeks of volunteering. The village I will be going to is called Bavu Village and it is in the Nadroga-Navosa Province on Fiji’s main island Viti Levu. There are 4 clans in the village, with two chiefs and a total of 64 families with 2 schools. You can try and search the village on google maps, but it is so rural that it doesn’t even come up! 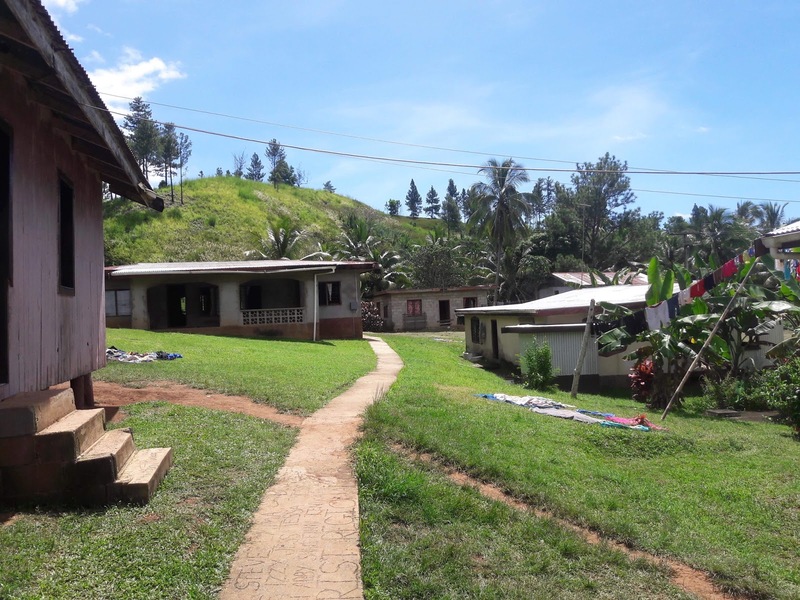 Projects can either be in coastal or highland locations and Bavu Village is a highland location which looks absolutely beautiful! Our three weeks on projects will be spent living with a Fijian family, our second family, and experiencing the basic lifestyle of a rural village, cold bucket showers and all! We will likely be sleeping on the floor of the homes, the toilets will likely be pits in the ground and if we aren’t having a bucket shower, we will be washing in a river. It is going to be HARD. I won’t lie, I’m so nervous/scared. But I am also incredibly excited. It is going to be one of the most eye-opening and rewarding experiences and challenges but I know I will have the time of my life (just need to push through the worry and the down days). We will be living a Fijian way of life, learning their skills and trades (mat weaving/basket weaving) as well as their religious rituals and ceremonies. On the weekdays we will spend our days in school until 3pm, where we will be assisting the children with their studies of English and Maths before an afternoon of sports and other after school activities. The weekends will be spent taking part in team treks and activities on the Saturdays and rest/church on the Sundays. They are going to be long, busy days and the dramatic change in environment and culture will add further challenge (and excitement) to this experience. After the three weeks in the village we return to Nadi with out team for a few days of R&R before the end of our project. Hopefully it’ll be a fun time to reflect and reminisce on all the memories we have made as a team as well as a transition back into modern life! With only 12 days to go before I fly out for my pre-project travels, the nerves and excitement are continuously growing! I’m slowly becoming more and more prepared – mosquito net has been purchased! – but I still have a lot to do before I’m ready. I hope this post has given you a bit more on an insight into Think Pacific and the projects they offer, and has maybe given you an idea as to whether you might be up for experiencing something like this. Once I’m back I’ll write an experience and reflection post to give you my post-project thoughts. As I’m now finishing my purchasing and packing for when I head off, look out for an upcoming post about what I’ve bought and what I’m taking with me. Previous Post Where am I going? Next Post What am I taking backpacking?